​Vehicle where it shouldn’t be? Do you have abandoned vehicles or unauthorized cars parking at your place of business? Perhaps you have an old car left at your residence by the previous owner. We understand that your parking spaces are valuable real estate and that by taking vehicles we can ensure the value of the space for you. There is nothing worse than an ignorant driver parking where he know he shouldn’t. 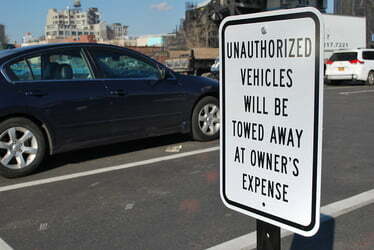 – Parking space towing, with winching services to remove any unauthorized vehicles on your or surrounding properties. – Winch services to remove any of your unwanted runs down vehicles that are incapable of being driven away. – Pickup of your abandoned broken down car if you have requested a tow and have already received a lift from friend or family. Those vehicles will be no longer. With the right team, the right know-how, the right equipment, a desire to ensure no abandoned vehicles interfere with you and 24/7 service. Perth Towing Service guarantees the vehicle won’t be a problem for much longer. Proudly serving Perth, and it surrounds with abandoned car pickup services. Thanks to our vast levels of experience, we will be able to fit to your needs and ensure the best means of operation is carried out. In some instances we can even come and collect vehicles for free.